It’s snowing here at the farm. 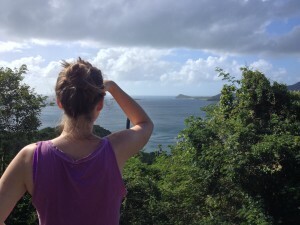 Our December trip to St John feels like it was a long time ago in a place far away. 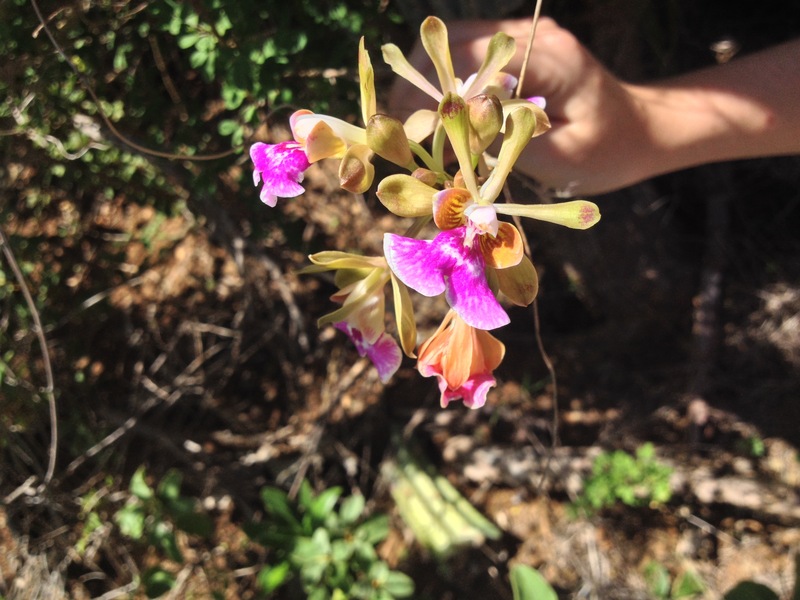 However, I want to share with you some of my lovely experiences with the Flowers of St John. 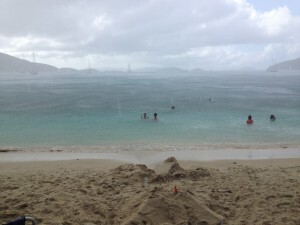 St John, USVI and the Caribbean in general went through an extreme drought beginning in the spring and lingering into the fall. 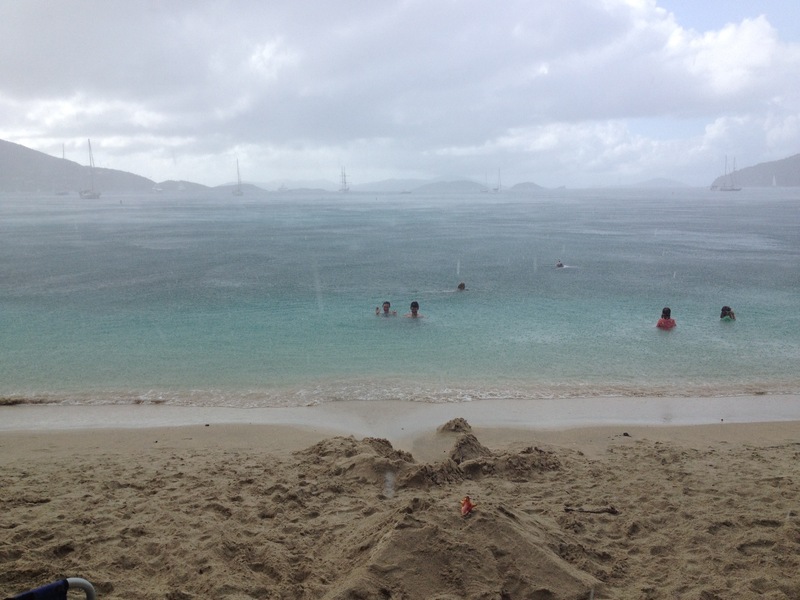 When we arrived, rain had finally returned, and there were many storms, quick and intense, while we were on the island. The arrival of rain after the drought meant many plants were blooming out of season. 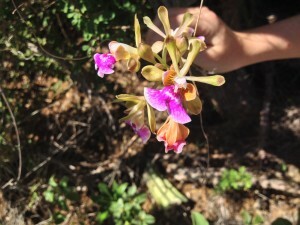 This meant I got to meet with a number of Flowers I had never seen in my many other trips to St John. All of my other trips have happened in the months of December, January and February so I have always missed Flowers that bloom at other times of the year. Not only had the rain rejuvenated the vegetation on the island into a state of joyous self-expression, but all life was celebrating. 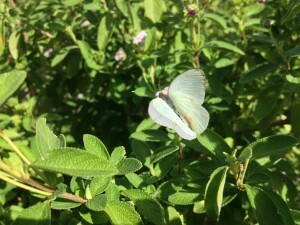 There were many more Flowers everywhere AND butterflies covered the island in veritable clouds of soft white. I had never seen anything like it. Everywhere we walked, butterflies rose up all around us. It was a glimpse of what the world might be like without pesticides. Sometimes I have found the Nature Spirits/Elementals of a place to be either reticent or in a place of withdrawal from humankind. 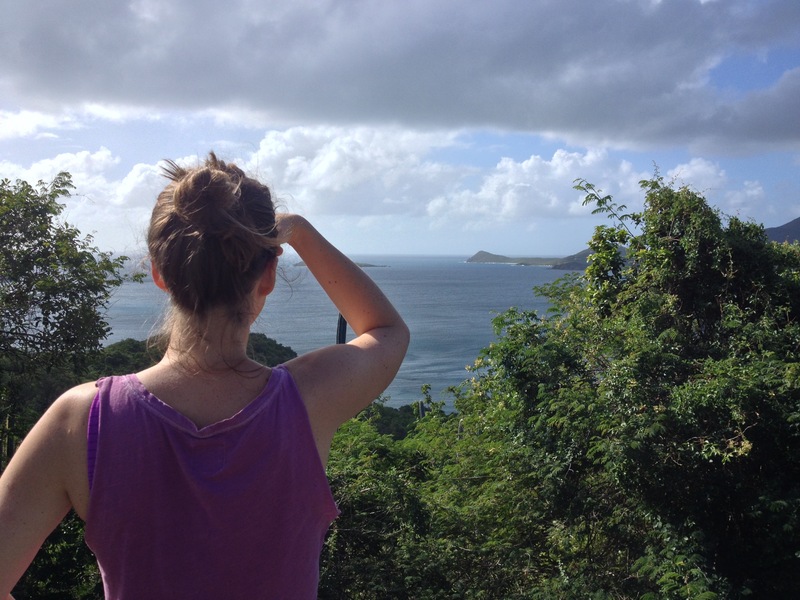 On this trip to St John, the Nature Spirits were extremely extroverted, loving and helpful. To pause next to any plant was to visit with a dear friend. 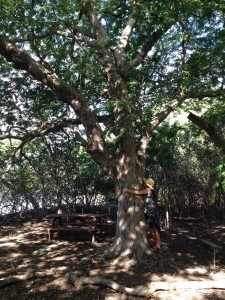 As I walked the island trails, Nature Spirits greeted me with great waves of love. They helped me find Flowers I was seeking with panache and humor. I had not been to St John in five years so being greeted by old and new Flower Elemental friends was very precious. I particularly needed the Elementals help to find Flowers because one of the places where I met many Flowers over the years is no longer open to visitors. The Maho Bay campground where we always stayed is no longer. I knew every inch of that property’s vegetation and knew where I could find many Flower friends, but the property has passed into private ownership. We found it gated and guarded by dogs and cameras. I could only blow a kiss to the precious Jerusalem Thorn Tree I knew and loved and many other Flower friends found previously in Maho scrubland. 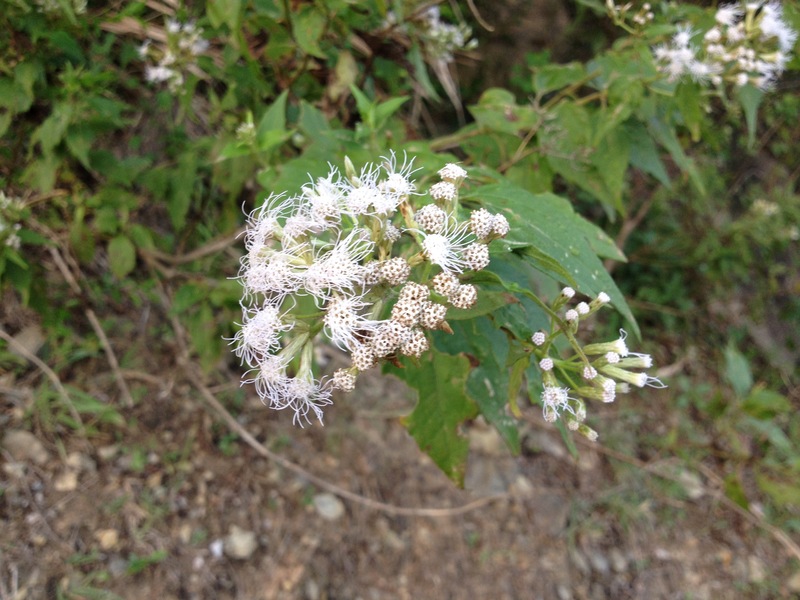 One Flower I knew it was vital for me to find in a new place was Christmas Bush (Chromolaena odorata). This is a key ingredient in our Wound Healing mix and a deeply important Essence for wound healing in its own right. 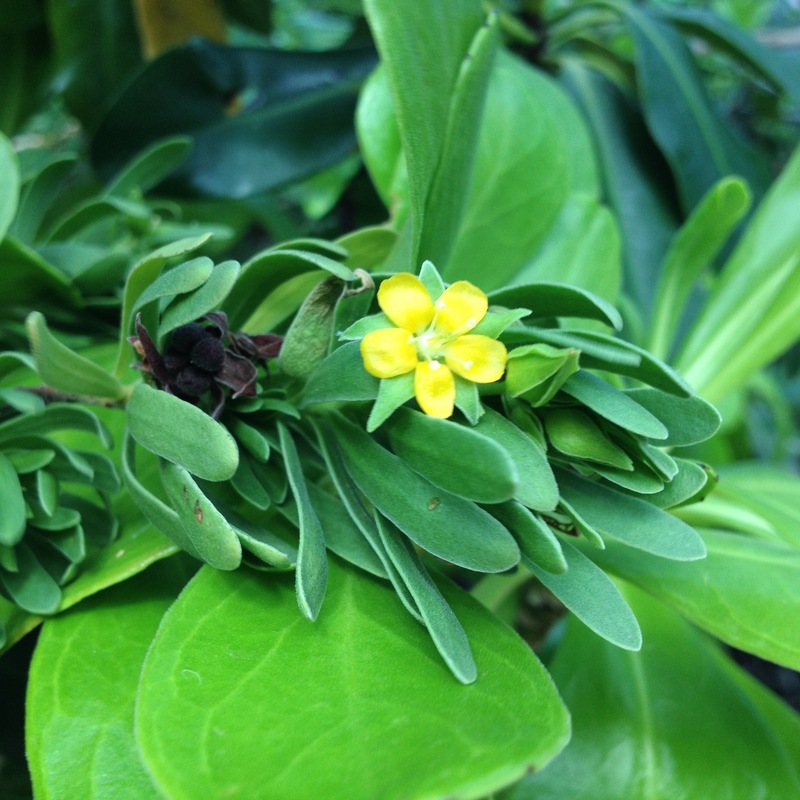 I was grievously low on this Flower Essence but also knew I had always made this Essence from a patch of Christmas Bush at Maho. Driving with me anywhere is somewhat of a slow boat as I am always asking people to go slowly and often asking them to stop the car so I can go examine a Flower. This is never more true than on St John. So many important Flowers grow on the side of roads, and I am always looking for them there. I went on every last car mission because the up and down journeys over the mountainous terrain gave me much scrubby bush in which to search for Flowers. One day descending on the switchbacks into Coral Bay, I caught a glimpse of white, the color of Christmas Bush Flower. It was a very quick glimpse, but I felt it was Christmas Bush. Every time we went up or down that road I would look for that patch. Each trip I tried to count the curves to see how far down the road I would need to walk to see if this flash of white was indeed what I thought it was. While my husband, St Jim, was happy to stop the car on most roads, this was one steep decline where it was just too dangerous to linger because of speeding vehicles climbing and descending the treacherous mountainside road. This cluster of Christmas Bush began to send me a big wave of love when we passed them in the car. I would literally feel this love blow into my heart and fill it with joy. On our last day on the island, Jim and I parked at the top of the road and walked down to the cluster of Christmas Bush. In true St John style a number of people stopped to see if we needed a lift but no, we were just taking a dangerous stroll down this narrow road. When I got to the patch it was a sweet reunion. I asked who wanted to be made into an Essence and a number of blossoming heads volunteered. Will’s girlfriend and GHF staff goddess Sarah Porter went on many Flower missions with me. She had a marvelous knack of noticing when the Flower Elementals were trying to get her attention. At one point, I was examining a lovely clump of Inkberry (Scaevola plumieri), and she looked up to see a blossoming Bay Cedar (Suriana maritima) right above the Inkberry. 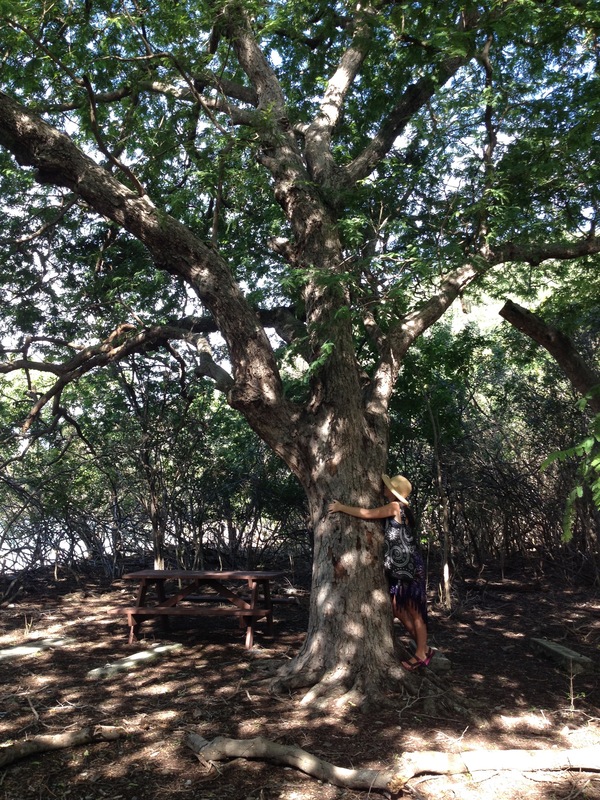 I had looked for Bay Cedar in its old haunts where it wasn’t in bloom, so I was very happy Sarah had heard it call from a new place. At another moment, while I looked at the very interesting black blossoms of the Pipe Organ cactus (Pilosocereus royenii), Sarah noticed Psychilis macconnelliae (Psychilis macconnelliae) right below and behind the cactus. Here she is visiting with this gorgeous orchid friend. 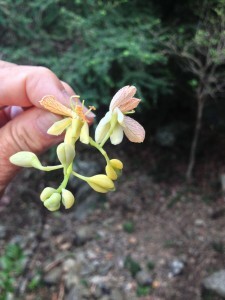 At another moment, I was waxing on about my endless search to find Tamarind blossoms while lingering under the branches of an old Tamarind tree. 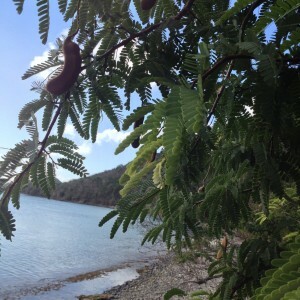 There is a beautiful old Tamarind edging one of the gorgeous beaches on the island, and I have always visited the tree but never noticed any blossoms. Sarah, of course, found blossoms! As I met the Flowers for the first time after a twenty five year search for her blossoms, it was a wonderful moment. The Flowers are so lovely and unusual reflecting the wise, steadfast, steady and generous nature of the tree itself. Tamarind has been one of the new ones that the Angels have requested we send to people this January even as I had not yet found out what the Flower Essence is for! Yesterday I got the beginning of a description that I share here. The photos I took do not do justice to this Tree, her Flowers or her Essence. Maybe someday I will get a chance to do better. Tamarind (Tamarindus indica) Helps us stay grounded and rooted to the eternal verities during times of intense emotion and chaos. Helps us find stability, balance serenity and calm even as things explode, hurriance emotions and rage and it appears all is lost. I AM serenity.